The month of November seems to be a time when we focus on being thankful, more so than the rest of the year. 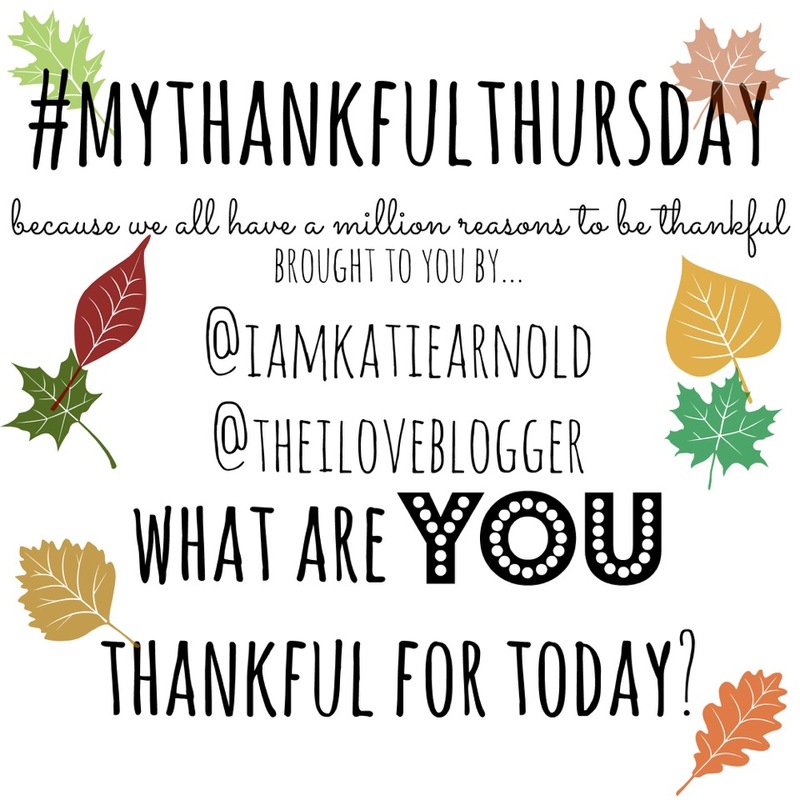 This week I am joining my dear friend Amanda over at The iLOVE Project for #MyThankfulThursday Series. I will be the first to admit that I live a relatively charmed life. It is not perfect, but compared to the struggles that many of my close friends are going through, with their health, financial situation, or issues with family (or a combination of those), I have it good. But, somehow, I manage to forget about my blessings and not be content with my life quite often. 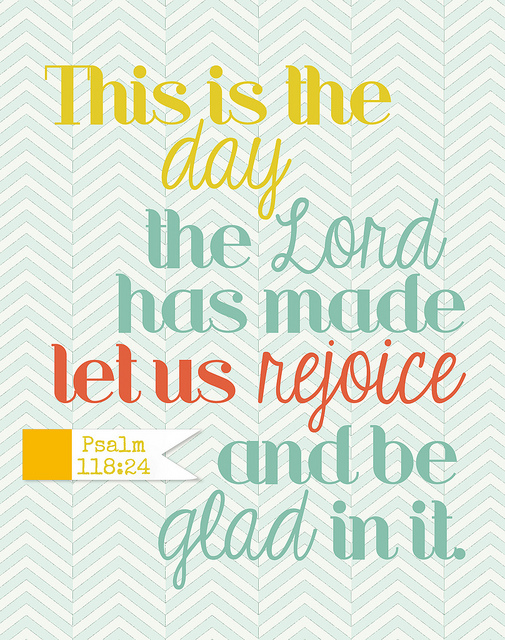 Recently our pastor preached a sermon on Psalm 118:24 about being thankful for each day and finding joy in all circumstances because we are not promised tomorrow. I have been trying to keep that in my heart and savor the time I have with family and friends, instead of worrying about things that may never happen or complaining about things in my life, like my job. I am thankful for my family. I have a wonderful husband that cherishes me and serves the Lord alongside me. He is also a great stepfather to my son and a wonderful provider. I am blessed with a handsome teenage son, who is healthy and smart and has been relatively easy to raise so far. I am blessed with not one loving family but two (even though they can get on my nerves at times). I was adopted at 3 months old and have a wonderful mom, dad, and sister who have always been there for me. I also was blessed enough to meet and develop a close relationship with my biological parents and sister. I mean who does that happen to?!?! I am thankful for my financial stability. My husband and I are blessed with well-paying jobs that allow us to live in a decent house and pretty much have everything we need. We are able to put food on the table week after week and clothes on our bodies. We are also able to help others as well, through giving to our church and other charitable causes. When my job is getting on my nerves, I try to be thankful that I have one, since many people do not. I am thankful for my church. I have been at my church for many years, since I started attending youth group with my best friend waaaaaay back when I was 13 years old! The people in my church are some of the most welcoming and kind-hearted people you will ever meet, with a heart for ministry and missions. I am blessed to be able to serve in the Children's ministry and most recently the youth area. We are blessed to have an amazing youth pastor that I have been privileged to serve with on our last few youth camp trips. This is just the tip of the iceberg of blessings in my life that I am grateful for. 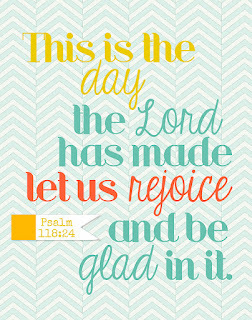 I hope you will join me in focusing on what you are thankful for this month. 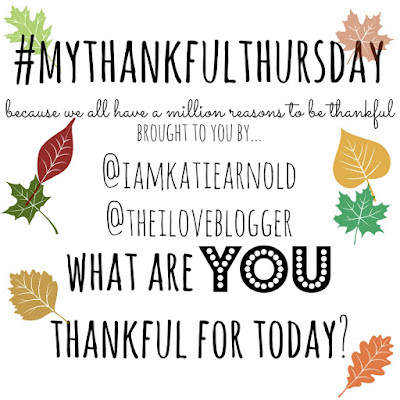 Leave me a comment letting me know what you are thankful for!! Yay so glad you were able to link up! I also feel like my life is pretty good compared to others (and that I forget that often), but I think it's important to remember that we all have our struggles..and that's okay!